From Green Left Weekly issue 198, website, this article "Blood, sweat, tears and sugar: The Big Picture: Sugar Slaves," published on 16 August 1995, by Norm Dixon, discusses a documentary on Australia's Queensland sugar industry and Pacific Islander slavery. They call it "blackbirding," but it's more akin to "blackjacking," kinda like carjacking only its about abducting/kidnapping black bodies to work on the sugar cane fields. The Aussies get really sensitive about the word "slavery" there have been a number of lawsuits regarding slavery, so they preform linguistic gymnastics to call their labor practices anything but enslavement. I'm still looking for this documentary, I can only find non-downloadable clips, thus far, but I'm still looking. -- Ron Edwards, US Slave. Norm Dixon writes: The sugar industry in Australia generates around $2 billion a year, and Australia recently surpassed Cuba as the world's largest exporter of raw sugar. Plantation, refinery and distillery owners amassed huge fortunes from the blood, sweat and tears of enslaved Pacific islanders, as this compelling documentary proves. 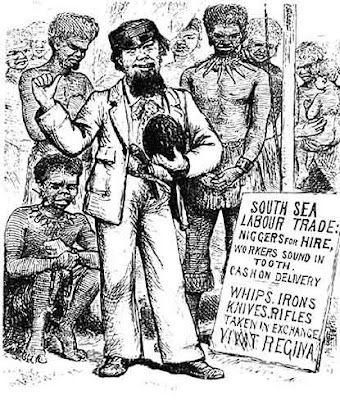 In 1863 — 30 years after the British parliament abolished slavery in the British Empire and at the height of the civil war to end slavery that United States — the first shipload of kidnapped South Sea Islanders (as the islander community today prefers to be known) arrived in Brisbane to open a sad new era of forced labour that is largely glossed over in the history books. Those first "Kanakas" were offered for sale at $7 a head. Sugar Slaves is a timely reminder that Australian capitalism was partly built on the exploitation of the people of the Pacific islands. Australian capitalism's birth was as brutal and unjust as any other capitalism on this planet. As historian Clive Moore says, "Queensland could not have developed as quick as it did in the 19th century without the use of cheap Melanesian labour". 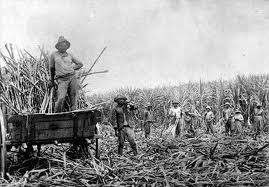 Between 1863 and 1904, more than 50,000 islanders were transported to Queensland to labour in the cane fields. Men, women and children were seized from villages and beaches throughout the Pacific by sea "traders". On Pentecost Island, in Vanuatu, whole villages were captured, causing areas, inhabited for generations, to revert to jungle. Families were separated and all contact with their stolen relatives lost. Life on the plantations was harsh. Technically, the South Sea Islanders were not slaves but were paid wages 80% less than those paid to Australian workers. 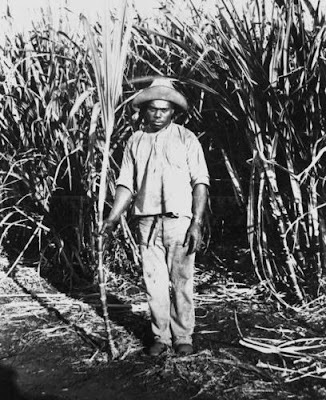 After arrival in Queensland, islanders were sent straight to the plantations, given a set of clothes and set to work clearing fields or cutting cane. They were watched by often brutal overseers on horseback who needed little encouragement to set upon the hapless labourers with whip or boot. Back-breaking work, disease, and poor and too little food led to death rates 400% higher than for Europeans. The "lucky" ones were buried in unmarked graves away from the cemeteries housing good, white Christians. Many others were buried in the fields where they dropped. Opposition to the slave trade — euphemistically dubbed the "Queensland labour system" — was strong in the southern Australian colonies. It was also opposed within the Queensland labour movement. In 1868, Queensland's parliament, though dominated by pastoralists and plantation owners, was forced to modify the system. Employers were now bound to provide food, clothing and lodging, and pay a wage of $6 per year. South Sea Islanders were to be employed by contract for a maximum of three years, after which the employer had to pay their fare home. 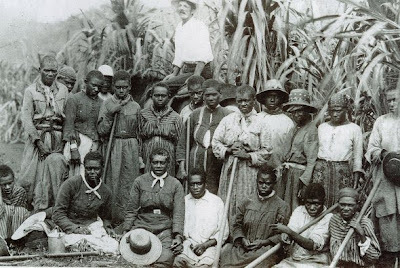 In Britain too, the slave system in Queensland was a scandal, and in 1872 the British parliament passed a law to outlaw kidnapping of islanders in the Pacific. The sea "traders" now relied more on "persuasion" rather than brute force to lure islanders to the cane fields. By law, Melanesians were forbidden to strike or "desert" their employer on pain of three months' imprisonment. The labor movement's response was thoroughly selfish and racist. Unions argued that islanders undercut "white" wages, yet refused to organise them or permit them to join. Labour movement newspapers like the Worker and the Boomerang published racist caricatures of islanders, depicting them as threatening the "purity" of white women. 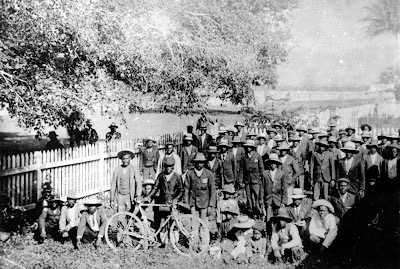 After federation, despite the vehement opposition of the plantation owners, the white Australia policy outlawed further use of islander labour. All islanders were to be deported in 1906. After considerable agitation by South Sea Islanders opposed to deportation, the government allowed elderly islanders, those married to Aborigines or to Australian citizens and those who had been resident for over 20 years to remain. Despite this, fewer than 2000 were permitted to remain legally. The deportations caused terrible pain and disruption, with families being split up, never to be reunited. To escape deportation, some jumped ship, and some even walked to Sydney! Following the deportations, the Australian Workers Union launched a despicable crusade to eliminate South Sea Islanders from the sugar industry. The federal government paid a bounty to farms that employed only whites. 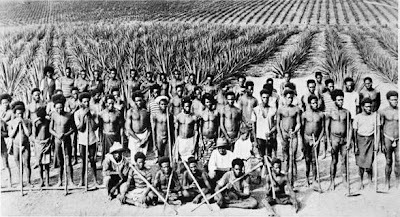 In 1919, Melanesians were excluded by law from working on farms, although many farmers secretly allowed islanders to cut cane at night for a pittance. To survive, islanders returned to a traditional lifestyle of growing gardens and catching fish. Only during World War II were islanders again allowed to work in the sugar industry. Departure of the first shipment of deported Polynesians from Cairns under the Commonwealth Act: the muster at the Court House for medical examinations. (Description supplied with photograph). A large group of South Sea Islanders queueing for medical examinations prior to deportation from Cairns, 1906. Today, the 20,000 descendants of South Sea Islanders are a distinct community which is rediscovering its heritage and demanding recognition of the role their ancestors played in building the Queensland and Australian economy. In the words of Noah Sabbo: "I'm proud to be a 'Kanaka'". To most Australians, people like Ken Negus and Mal Meninga are known as sports superstars not as South Sea Islanders, something the islander community wants to see changed. Did you track down a copy of this documentry, Sugar Slaves, it was available on the SBS website. That is where i bought my copy from, Joe and Monica Leo are my grandparents.